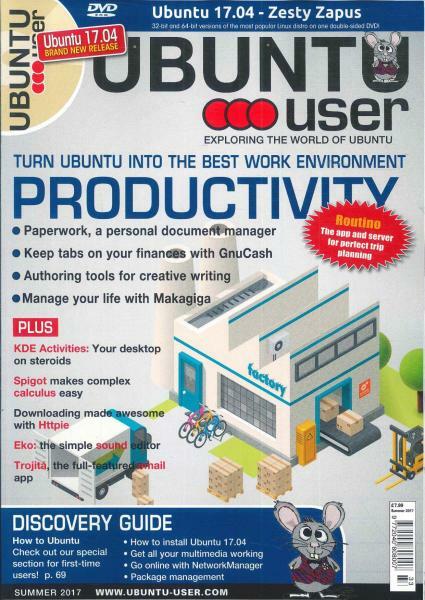 Ubuntu User is the only magazine for those who love the Ubuntu operating system. Read the news, reviews, and troubleshooting tips. For those excited about the newest version of Linux, get the information on Ubuntu. Read the articles about the simple, powerful Ubuntu operating system from the developers and those experienced in using it. Find out how the program designers offer troubleshooting assistance with simple to understand directions. Read the How To articles to learn more about the Ubuntu environment. Find out how to retrieve deleted data or how to get the most from RAW data files. Learn about customizing the operating system to fit your network. Beginners will understand the information included in the Discovery Guide! Learn how to install the program. Find out shortcuts and network installation, using multimedia, and getting and installing updates. Easy to follow guidelines included in the Guide.